Jungle Red Writers: Cozy writer, breaking and entering: Welcome "Julianne Holmes"
Cozy writer, breaking and entering: Welcome "Julianne Holmes"
HALLIE EPHRON: One of the great pleasures of being a long time member of Sisters in Crime has been watching fellow writers hone their craft, put themselves out there, and then earn (!) a publishing contract. The latest in an impressive array of New England writers to go down this path is J.A. (Julie ) Hennrikus. She also happens to be president of New England Sisters in Crime. 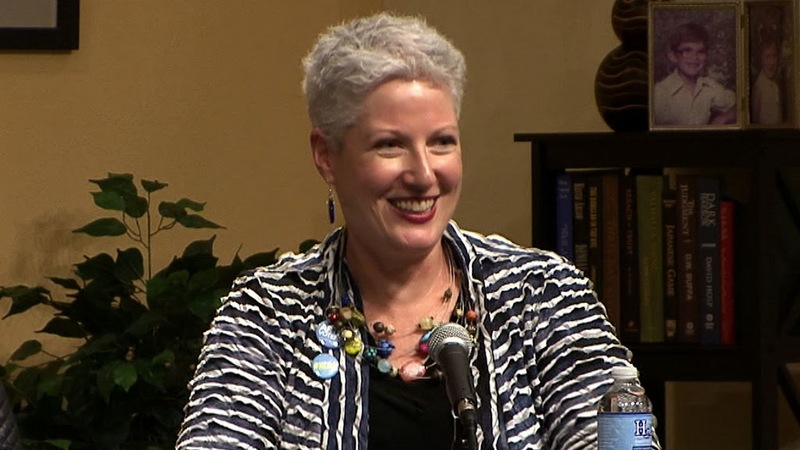 Julie has had a stellar career in the arts as executive director of StageSource, a service organization for Boston area theater artists and companies and she teaches arts management classes at Emerson College. Now she can add "published mystery writer" to her resume. Because we all love to hear the gory details Julie, as a mystery writer how long have you been at it, and what was the charm? JULIE HENNRIKUS: First of all Hallie, thank you and the Jungle Reds for inviting me today. You were the President of Sisters in Crime when I first joined. The meeting was at your house, and I was a wreck. But you were such a great host, and the members could not have been more welcoming. Though I have been writing my entire life, I really think it was joining Sisters in Crime that turned a corner, and helped me say aloud that I wanted to be a published author. The charm? What is the phrase, luck is preparation meets opportunity? The preparation includes two books in a drawer, the outline for another cozy series, tons of classes and workshops, some luck publishing short stories, and a willingness to write for the market. HALLIE: Or, as somebody said, "there's nothing to writing, just sit down and open a vein." How did you find your agent? JULIE: Well, here’s where the opportunity came in. Two years ago an agent named John Talbot contacted Sheila Connolly, who was then President of Sisters in Crime New England. He was looking for some cozy authors to work with on proposals. Rather than pick and chose a few people, Sheila sent it out to the membership. I think he was flooded with responses—I was one of them. Several friends got book deals (including the Wicked Cozy Authors), but my initial proposal didn’t sell. I stayed optimistic, and was enjoying my friends successes. And John and I had a nice conversation at Crime Bake in 2012, and kept in touch. So when the opportunity came up to work on this proposal, my name came up, and I jumped at the chance. I’ve mentioned the Wicked Cozys—Barbara Ross, Sherry Harris, Edith Maxwell, Jessie Crockett, Liz Mugavero, and I started a group blog (inspired in no small part by this blog) a year ago. We are all writing cozy series, and are at different stages of writing and publication. We are also an amazing support system for each other. As important as my agent has been to this process, these women (Barb Ross especially) have been instrumental to helping make this happen. HALLIE: Do you remember what you were doing when you heard you had a publishing contract? JULIE: Of course! I was at work, and it was my birthday. John called and told me that the proposal had been accepted. It took a few weeks for the contracts to go through, so only a handful of people knew right away. But it was, by far, the best birthday present ever. HALLIE: Can you give us a teeny tiny peek at what we have to look forward to with your first book? 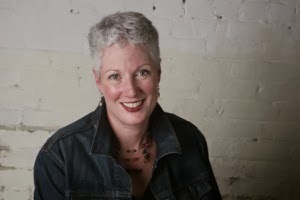 JULIE: I will be writing the Clock Shop Mystery Series for Berkley Prime Crime under the name Julianne Holmes. The cozy series takes place in the Berkshires. The protagonist goes back to her grandfather’s clock/watch repair shop to heal a rift, and she finds him dead. So she sets out to solve his murder. It is a wonderful setup for a series, and I am having a great time doing research. The first book is due this fall, and will be out in 2015. Which feels far away, but I know it will be here soon. HALLIE: Julie wears the most spectacular jackets and necklaces and scarves, the envy of any author who's had to get dressed up for a signing. So Julie, favorite places to shop for your treasures?? JULIE: What a lovely compliment! My grandmother wore scarves all the time, as does my mother, so that is in the genes. And I work in theater, which allows me to be a little bolder in my accessories. My favorite places to shop? I love craft fairs, where you can unique pieces of jewelry. And my scarves? I’m embarrassed to say that Michaels (yes, the craft store), H&M, Target, and street vendors are a huge part of my collections. 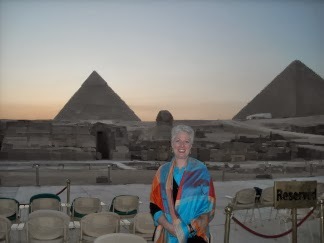 I was also lucky enough to go to Egypt four years ago, and I got a lot of wonderful scarves there. And Nordstrom Rack is a great place to find treasures. My best piece of advice for accessories—if you are drawn to something, and can afford it, don’t hesitate. Get it. I found a necklace a couple of years ago, and I hesitated. Happily, my mother was with me, and said that if anyone could pull it off, I could. So I bought it, and always get compliments. I’ve been known to work an entire outfit around a pair of earrings, but it is always worth it. Imagine the fun I’ll have dressing up as Julianne Holmes to go out and sign books about clocks. The mind reels! HALLIE: Julie, we all can't wait to read your first (published) book. Accessories, accessories? Where do you get your favorites? What a fantastically wonderful birthday present, Julie . . . and your clock shop mystery series sounds so interesting. I will definitely be looking for your book . . . . Craft fairs are a great place to find wonderful accessories as are church bazaars. And I like shopping at Target, too . . . .
"I’ve been known to work an entire outfit around a pair of earrings, but it is always worth it." I suspect you are headed for a fabulous writing career, ma'am. You already possess the write stuff. Good luck! Well, Julie knows I'm one of her biggest fans, and I love being part of the Wicked Cozy authors (and thanks for the shoutout). Since I write about an organic farmer solving crimes, I have a growing collection of vegetable earrings. Hot peppers, garlic, eggplant. I'm wearing leeks today. But scarves? I'm hopeless, and hoping to get a lesson from Julianne on how to throw one on so it looks great and doesn't just fall off. Craft fairs are a great place, Joan--I should have mentioned that! And my sister, the pin fanatic, likes flea markets. Thanks Edith! I love your vegetable accessories. And scarf tying lesson--coming up! Hi, Julie. Love you and all the Wickeds! It's a terrific blog you all have going there. I hadn't realized you were involved in Boston theatre. Do you remember the Theatre Company of Boston? At one time both my parents, my ex, and I worked there. My father also acted at the Charles. You are probably much to young to remember those guys. Some people call my family unstable. We prefer to call ourselves free wheeling and ready for a new adventure. Congratulations, Julie! I love your comment about staying optimistic and enjoying the successes of your friends. What a gracious and positive outlook. That alone would make me want to buy your book! So happy for you, Julie! You throw your whole self into everything you do. It will be a fabulous book. Hallie, you and the Reds are so supportive of new writers -- thanks so much. SO SO SO incredibly jealous that you got to visit Egypt! I write about ancient Egypt in my books and have a fascination with those beautiful people and their breathtaking history. That said, I gotta say that Sisters in Crime are the best! They're among the most amazing writer and writer-friends I know. Although I'm not a mystery writer, I SO enjoyed reading about your journey to published authorship. I got excited as if it were my birthday hearing about your first contract! Loved reading about Egypt and your trove of exotic scarves. It got me thinking about being more bold in my own accessories. On a personal note, I'm addicted to consignment stores where I love finding things that not everyone else is wearing! Congratulations, Julie! I'm delighted for you and will look forward to your book. Craft fairs are indeed wonderful places to find scarves and one-of-a-kind necklaces, and sometimes for a great price. But you've got to have style to pull off the bolder looks, and from our acquaintancship at Crime Bake, I have noticed you certainly have it. 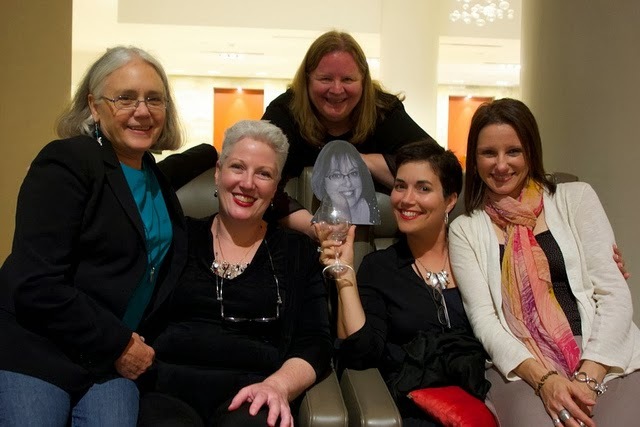 Many thanks for all you do for the New England mystery-writing community through SIC. Accessories? I'm hopeless. I wear the same earrings every day, no watch (not any more), my wedding ring, the sapphire ring I got as a 16th birthday present, and the three-stone diamond anniversary band I got after the birth of my son. My kids gave me a fabulous chunky gold-and-bead necklace for Christmas two years ago, and I have yet to find an outfit it goes with (at least according to my fashionista daughter). Julie, just *thrilled* for you! Totally agree with what Ramona said about your great attitude. YAY Julie! One of the most organized, my proficient, most efficient, most imaginative people I have ever met! You know I love scarves...and am big on bracelets. Still, somehow, I am necklace-wary. I have them, and they are in my drawer. Hmm. I am so happy for you! hurray! Aw, Julie. Thanks for the shout out. I am touched.You now you earned every bit of it. As for accessories, I have enough trouble keeping my clothes on straight, the idea of even more stuff to be askew or falling off me...Oy. That was a great birthday present. Putting the first Clock Shop Mystery on my list to watch for in 2015 since I'm a huge cozy reader. Another Sisters in Crime success story! Such a great support system. I love how creative women have banded together to help support and encourage one another. My scarf collection is 46 years old. I've collected them from many countries, yard sales, estates, and from my favorite: TJ Maxx. They have very good bargains on scarves, and on jewelry, as well as other accessories. My latest two scarves came from the gift shop at the Desert Botanical Gardens in Phoenix (incredible green wool), and the National Geographic online store (beautiful wool paisley, on sale for a fifth of the original cost). And when I was in Phoenix we stopped into a little boutique in Carefree. On the counter was a gorgeous necklace with a big chunk of real turquoise, and earrings to match. Everything else in the store was out of my league in price, but I asked about the necklace. The clerk said it was $40, and made by a Native American in the area. I asked how much were the earrings: "Included in the price". How could I not? Congratulations, Julie - what a fantastic story of perseverance and more importantly, support and encouragement. Looking forward to your debut! Reine, I know of the Theatre Company of Boston, and wish I had seen some of their productions. I did work at the Charles Playhouse for a few years. What a small world! Congratulations, Julie! Can’t wait to read your debut. I love your comment about staying positive and being happy for your friends. It’s so important to put friendship first in an industry that can be as crazy and whimsical as this one. Fabulous! I also adore the wrap you’re wearing in the bottom photo here! What gorgeous colors! Ramona, I know Rehoboth well--my sisters in laws have a place in Dewey Beach. I will let her know about the firehouse flea market. And Sherry Harris needs to know about that too! Terri, I feel like we know each other, even though we have yet to meet in person. Sisters in Crime is the best. And I am SO grateful I got to visit Egypt. It was a dream of mine, and it exceeded expectations. Suzette, one of the Wicked Cozys (Sherry Harris) is writing a series built around tag sales. Sounds like you may like it--the first one comes out in December. Thanks for the comment! Brenda, thank you! And I love our community of mystery writers. One of the great blessings of my life has been finding them. Mary, if we ever go to a conference together, bring the bracelet. We'll figure it out! And stay happy for others. Because WHEN it is your turn, the support is amazing. Mark, thank you! And thanks for being a cozy reader--a great genre that is doing well because of the support of readers. Karen, love the necklace story! And so glad you bought it. You know you would be kicking yourself now if you didn't! LynDee, that is one of my Egypt scarves. I just love the colors, and the memories I have when I wear it. Thanks for commenting! My Wicked Cozy Sistahs! Barb, Sherry, Edith, Jessie and Liz. This wouldn't be nearly as much fun without all of you. Plus, you get to go first, and I get to learn! Congratulations on your series, Julie. I always notice how put-together and elegant you look in your Facebook pictures. Makes me want to get out of my pajamas. Best of luck with the clock series. Thank you Polly! And trust me, my default is yoga pants and a hoodie if I can get away with it. Congratulations, Julie! I've known for a while that you had news of a Berkley sale to share, and have been eagerly awaiting the details. A clock shop is a marvelous setting -- tick tock, tick tock! What a great publication story, Julie! I'm curious about what got you interested in a clock/watch store for your series. What a super birthday gift - the best possible! Congratulations on breaking though, and thanks for sharing about the necklaces. I hope you're enjoying the watch and clock research. Congratulations, Julie, on your upcoming series, the Clock Shop Mysteries. That setting really appeals to me, and I am looking forward to another cozy series with which I can snuggle down. Your positive attitude is such an inspiration, even beyond the art of writing. The support and friendship gained from writers' groups, including Sisters in Crime and Jungle Reds, is a lovely relationship for a fan to observe as well as the writers to experience. Your expressed appreciation for your fellow writers/sisters speaks to the gracious person you apparently are. I love scarves, but I'm not as adept in arranging them on me as I'd like to be. When I wear one, it seems to change my whole posture, as I seem to be able to flow along more elegantly or smoothly (and I need all the help I can get to move gracefully). Scarves from Egypt must be awesome. So, I will watch (yes, dorky pun intended) closely for your mystery, Julie. Thanks for a most interesting post. Cathy, I am really enjoying the research. There is a lot of passion in the field, beautiful craftsmanship, and amazing history. So much fun. Kathy, thank you for your comment. The company of other writers has made all the difference both in my career, and in my life. I am so blessed to know so many talented people. Thank you Leslie! So excited to be a Berkley author. Can't wait to see you at Malice! Julie, it seems amazing to meet you here online after all these years. The Charles was one of my favorite theatres, but David Wheeler gave me my start. If you were there when Al Pacino did View from the Bridge you may have known my father. Small world is right! Congrats, Julie! So pleased for you. Reine, one of my great regrets is that I didn't see David Wheeler's work at the Charles. A little before my time, though I saw many of his shows at the ART. Small world indeed--we need to meet in person soon! Now I need to go shopping. Congrats, Julie! Thank you Laura! I owe so much to Sisters in Crime--so glad you are at the helm. Julie, I am so thrilled to hear about your publishing contract! It couldn't happen to a nicer person. Congratulations!!! !